A treadmill workout is much different than a stationary bike workout. The stationary bike and the treadmill are two completely different types of exercise machines. If you are looking to purchase one of these machines, or just want to know which is a better choice at the gym, there are a few things to consider. Each machine offers a different exercising style, impact on joints and muscles, safety issues and levels of effectiveness. The most obvious differences between a treadmill and a stationary bike is that you are standing on a treadmill and in a sitting position on a stationary bike. This difference can affect more than just your comfort level. Walking or running on a treadmill can take a certain level of balance and coordination. Even if you are in top form, you can still miss a step and trip. On a stationary bike you don't need to be constantly mindful of keeping your balance, which can make it a safer choice. Treadmill exercise is called high-impact exercise, while using a stationary bike is called low-impact exercise. This means that working out on a treadmill can be harder on your joints than a stationary bike. 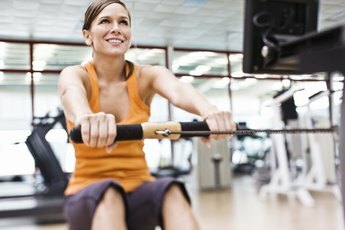 If you have joint problems, using a stationary bike may be a much better choice for your workout. On the other hand, leaning over on a stationary bike can put stress on your back. 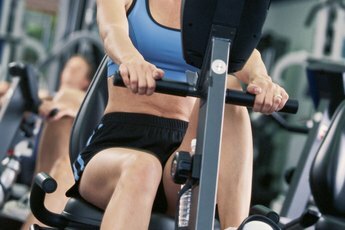 If burning calories is a big concern for you, one machine is definitely a better choice than the other. Treadmills burn 750 calories if you run at a 10 mph pace for 40 minutes, while a stationary bike only burns 300 calories when ridden at the same pace for the same amount of time. Of course, these numbers vary depending on how long you use the machine. For example, using a stationary bike is easier than walking on a treadmill for some. If you find that you can use a stationary bike for twice as long as you can walk on a treadmill, the stationary bike will clearly help you burn more calories. Obviously, you want to choose a machine that has versatility to fight off boredom and to allow you to match your changing fitness needs. Generally, both of these machines come with a plethora of options. 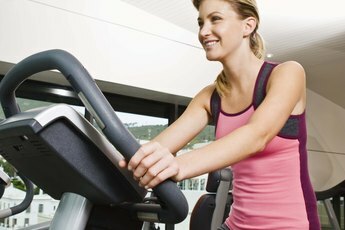 Treadmills and bikes have resistance settings to make your workout more challenging. Treadmills, though, allow you to adjust the incline or decline to add another level of difficulty to your workout. You also have the option of running, jogging or walking on a treadmill. What Is the Best All Around Exercise Machine?